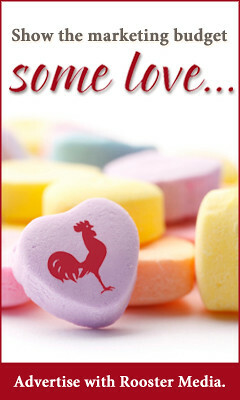 newsletter@roostermedia.com to your address book! 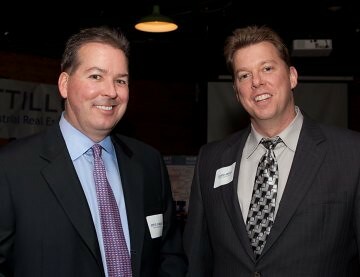 Steve Farrar and David Andes of Newburger-Andes. We're not opposed to creating new words, especially when our friends at Newburger-Andes tell us about an avalanche of deals, or a dealvalanche. The company has closed more than 200,000 square feet of property purchases and leases in the past few months, adding to its portfolio of single-tenant, net leased retail and multi-tenant industrial buildings and bringing occupancy of its 1.9 million-square-foot portfolio to 92 percent. Newburger-Andes also closed its latest syndication in 24 hours last week and next month will close on the acquisition of a freestanding, net-leased building and a vacant restaurant adjacent to Cobb County's new government center on Powder Springs Street. The dealvalanche continues, though, with the company's sale of a 30,000-square-foot building at Peachtree Airport Park in Chamblee to Interactive College, which was represented by Richard Bowers & Co.'s Chet Lacy. 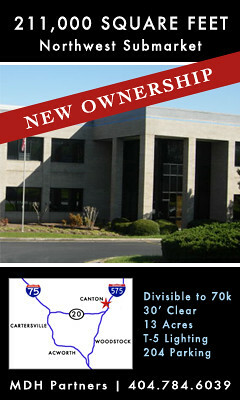 Newburger-Andes still owns a 50,000-square-foot, multi-tenant building at the business park. "Our focus moving forward is to stay aggressive and build our portfolio of single-tenant, triple-net deals and spread out our risk with multi-tenant industrial acquisitions," David Andes said. "We think the Atlanta market is going to be solid and come back strong." 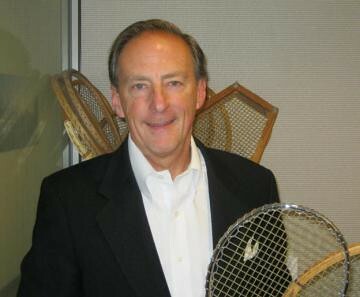 If he wasn't a broker, JLL's Kris Cooper would be a tennis pro. 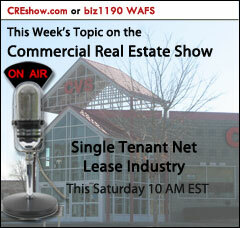 Jones Lang LaSalle's Kris Cooper observes the national retail scene from an interesting perch. Cooper's been one of the leading retail investment sales brokers in the Southeast for nearly two decades, and, at JLL, he also serves as a player-coach-manager of the company's U.S. retail investment sales group, which keeps him involved in deals all over the country. 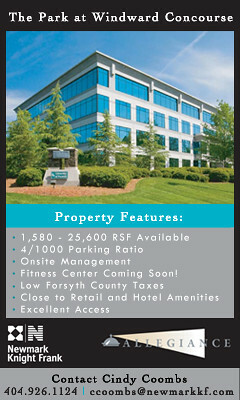 Locally, Cooper and Margaret Caldwell's team are marketing 1010 Peachtree's 41,000 square feet of retail, and they're also working with JLL local partners in New York and Pennsylvania, marketing Harrisburg Mall and a Long Island shopping center with only a grocery tenant and Best Buy, each with 13 years remaining on its lease. Cooper's seeing the same barbell market that other property types are experiencing - core on one side, distressed on the other and not much in between - as cap rates for core properties approach 2006/2007 levels. 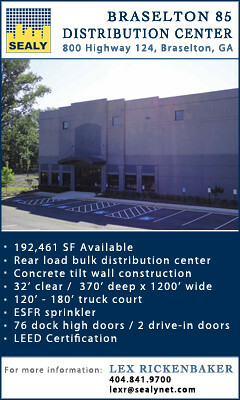 Cooper expects the Long Island shopping center to achieve a cap rate in the low 6 percent range. "If there's a core property out there, people jump all over it, because there's not a lot of truly quality product out there nationally," Cooper said. Cooper's bullish on Atlanta and the Southeast, though overbuilding has created issues in some suburbs that will take a while to resolve. Atlanta's mass and position as a regional and international crossroads position the metro area as a retail hub, as well. "When new tenants who aren't in the Southeast want to come into the region, what's the first city they're going to look at? Atlanta," Cooper said. "That's a real positive for filling some of these big boxes." From left to right: Joe Hinkson of Behringer Harvard, Kinsey Roberts of Behringer Harvard, Joseph Burns of Color Burst, Kevin T. O'Sullivan of Cohen Pollock Merlin & Small, PC and Gabriel Eckert, Executive Director of BOMA Atlanta. The Rooster joined more than 350 of our BOMA-Atlanta friends for the 2010 TOBY and Association Awards Banquet yesterday at the Georgia Aquarium. Congrats to the TOBY Award winners, including: 1000 Parkwood, Earth Award; Doctor's Center at St. Joseph's Hospital, medical category; The Gwinnett Chamber of Commerce, 100-249k SF category; Resurgens Plaza, 250-499k SF category; and The Wildwood Center, 500k-1 million SF category. Congrats as well to the Association Awards winners, including: Gail Cleary of Daniel Corp., Huey Award; Mark Schroeder of VeenendaalCave, President's Award; Linda Nall of CB Richard Ellis, Manager of the Year; Todd Mitchell of Wells Real Estate, Committee Chair of the Year; Karlton Holston of Grubb & Ellis, Young Professional Award; Jerome Linton of Fifth Street Management, Engineer of the Year; Joe Parham of Valcourt Building Services, Allied Member of the Year; and Erin Hall of BOMA-Atlanta, Pen & Quill Award. 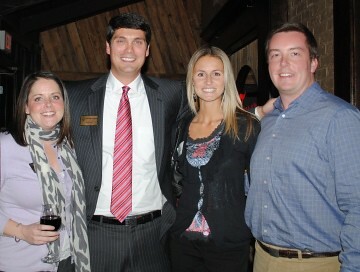 Heather Lamb of Lavista Associates, Ryan Hoyt of Jackson Oats Shaw, Sarah Peddar of Carter and Lex Rickenbaker of Sealy & Co.
Much like the Chinese, the Atlanta Commercial Board's Young Council of Realtors welcomed the New Year last week with its Kick Off party at Tavern 99. The Year of the Golden Rabbit, 2011, may be a welcome one for the ACBR and YCR. According to Chinese tradition, the Year of the Golden Rabbit is a time you can catch your breath and calm your nerves, and it's also a time for negotiation. 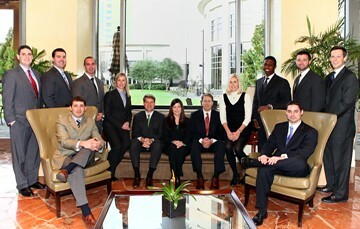 NAIOP's Future Leaders of 2011. 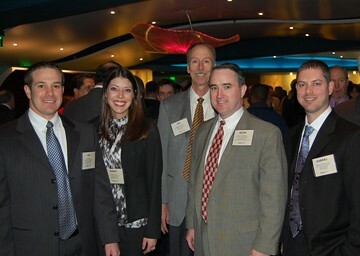 If the NAIOP Future Leaders Class of 2011 is any indication, the organization is in capable hands for years to come. This year's Future Leaders include Josiah Bancroft, Hartman Simons & Wood LLP; Drew Barnette, Eastdil Secured; Annie Baxter, Georgia Department of Economic Development; Cason Bufe, IDI; Brooke Dewey, Jones Lang LaSalle; Jeff Dils, Cousins Properties; Elliott Grand, CB Richard Ellis; Julie Holmes, GreenbergFarrow; William Ireland III, HFF Inc.; Will Kilgore, The RADCO Companies; Scott O'Halloran, Colliers International; Brandon Riddick-Seals, Brasfield & Gorrie LLC; and Michael Werner, EOLA Capital LLC. Have some good scoop to share with us? Send it on over to our editor now! We want to cover your next event! Send our marketing staff a note with all the deets and we will do our best to be there. 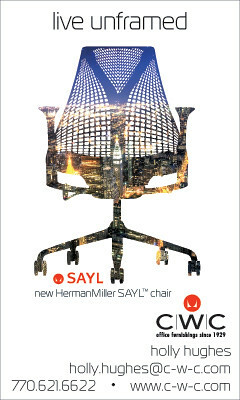 In case you missed us, click here for past issues. 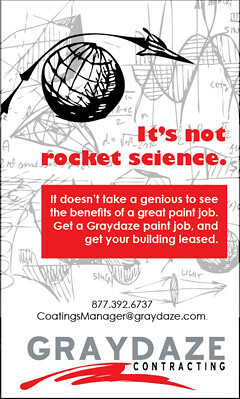 The Real Estate Rooster is an online newsletter directed at the real estate industry in Metropolitan Atlanta. 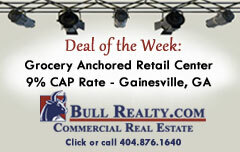 You have received this newsletter through your affiliation with the real estate industry. If you have received this newsletter in error or would like to unsubscribe, please follow the link below. The content of this newsletter is independently developed by Rooster Media, LLC and is not directed by the advertisers whose names and ads appear herein. All of the content in this newsletter is the sole and exclusive property of Rooster Media, LLC. � 2009.